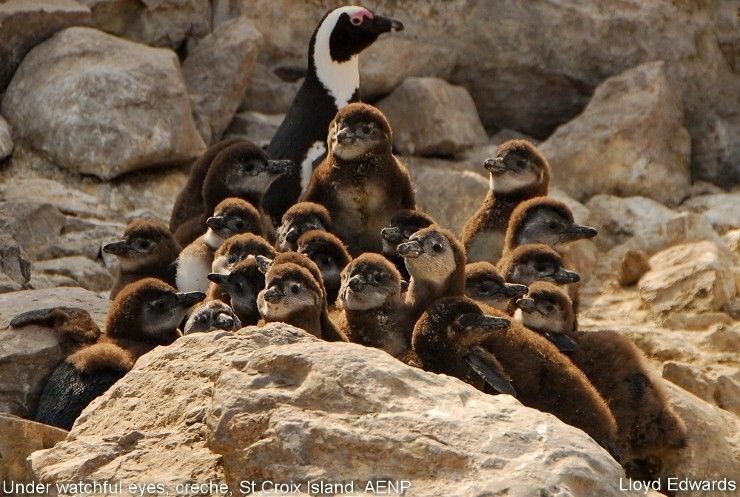 Penguin parents are very protective towards their young during the first few weeks. As they start to moult and gain their proper feathers they are known as “downies”. When they lose this down which is replaced by their first proper feathers, they become known as “baby blues”. 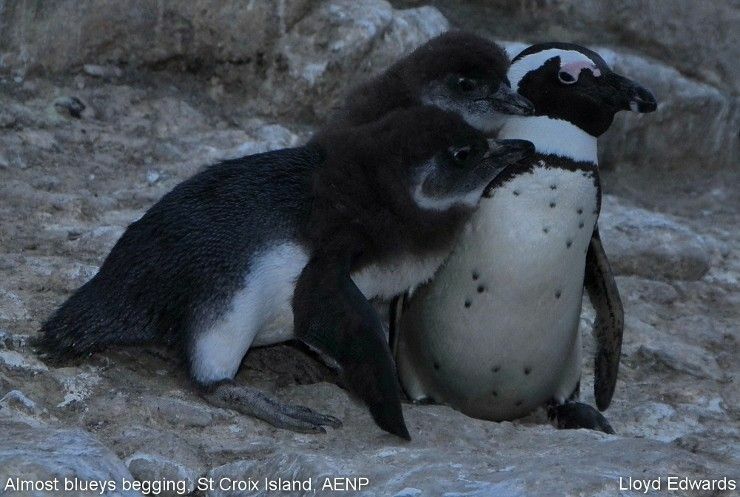 As can be seen in the photos, penguin chicks form crèches while they are still in their downy stage. This is when the new feathers have started replacing the down at about 30 days old. 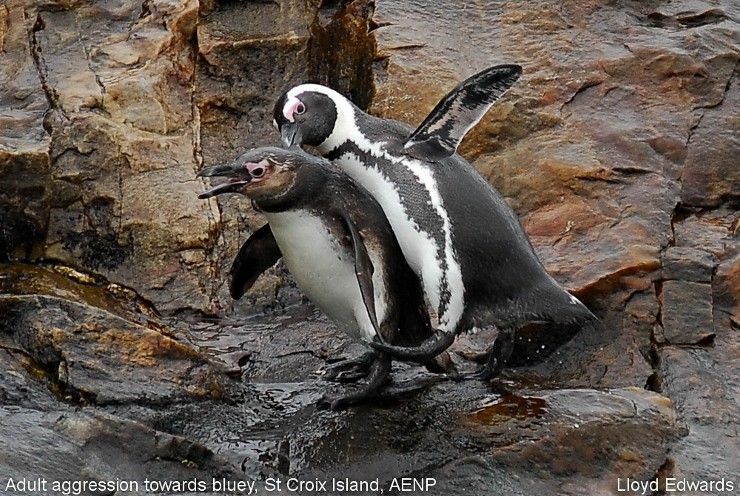 These crèches afford them protection against predators and allows them to share body warmth. 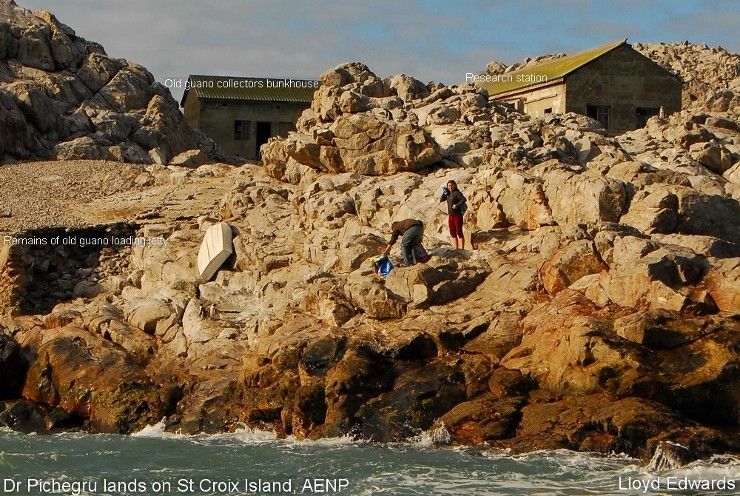 Remember that they reach this stage at the beginning of winter when temperatures on the wind swept islands of St Croix and Bird in the Addo Elephant National Park (AENP) can suddenly plummet. The baron nature of the islands offers them very little protection against the elements. 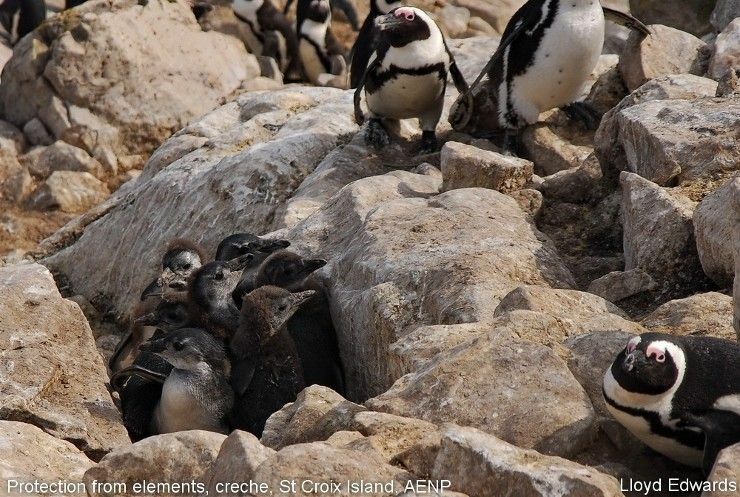 Crèches are formed because both parents need to go out and forage due to the increasing demands of the youngster. The biggest threat facing these older chicks is the ability of the parents to bring back enough food. 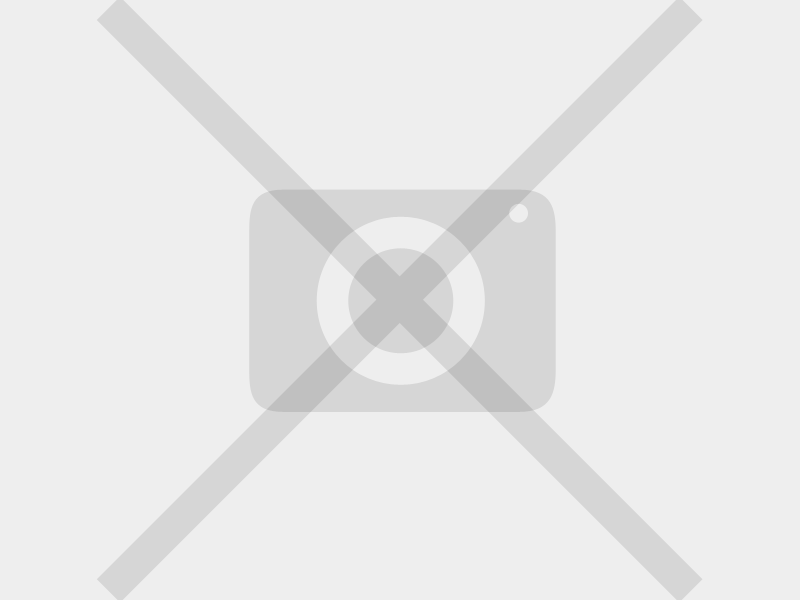 A chick nearing fledging can consume up to 500 grams of food per day. 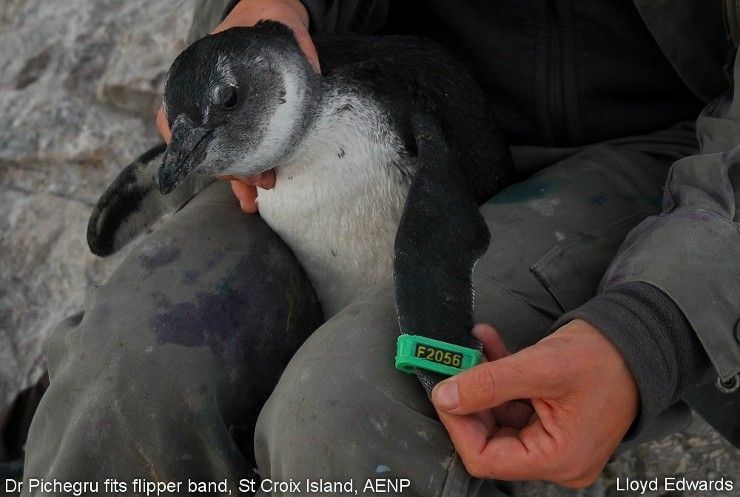 By the time they reach the “baby blue” stage, they are large enough to survive alone at or near the nest site. If food has been plentiful, the bluey may be ready for sea at about two months. If it has been scarce it can take up to four months in order to be strong enough for a taste of the wild and potentially dangerous ocean. Body condition i.e. weight of the chicks, can vary considerably at fledging. Some of the healthier specimens can weigh up to four kgs while others can only manage two kgs. Obviously the fatter ones will have an advantage of survival over the skinny ones. 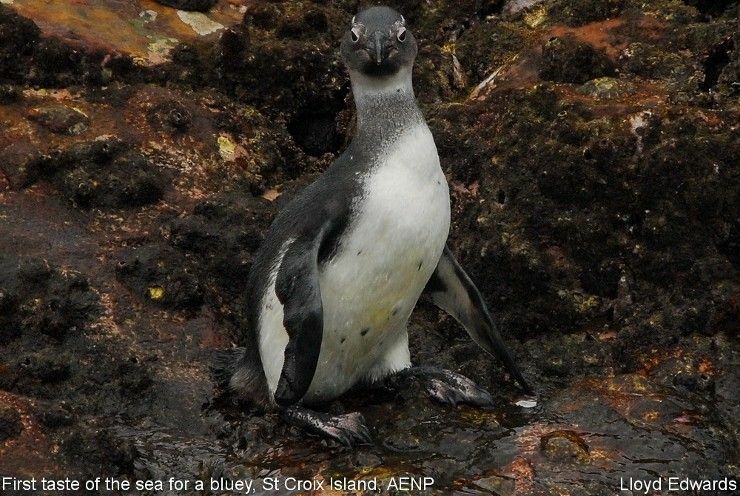 Soon after entering the sea, their blue colour becomes much darker and they are said to be in juvenile plumage. For the first few years of their life they are extremely mobile, travelling great distances. 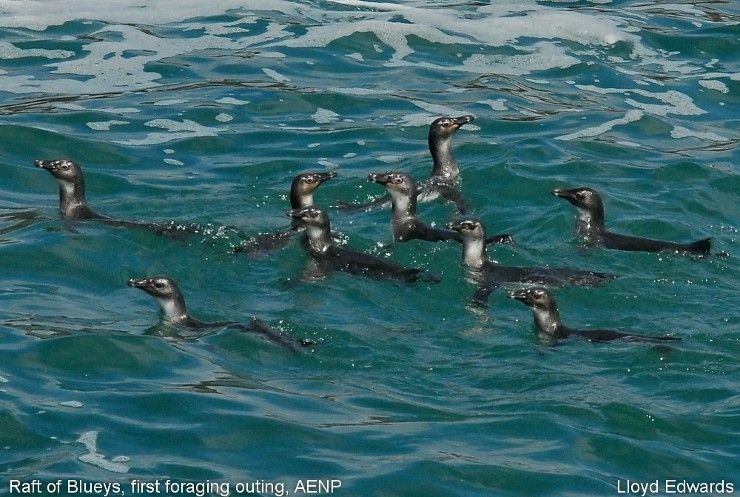 Juveniles from Algoa Bay travel westwards towards Cape Town. 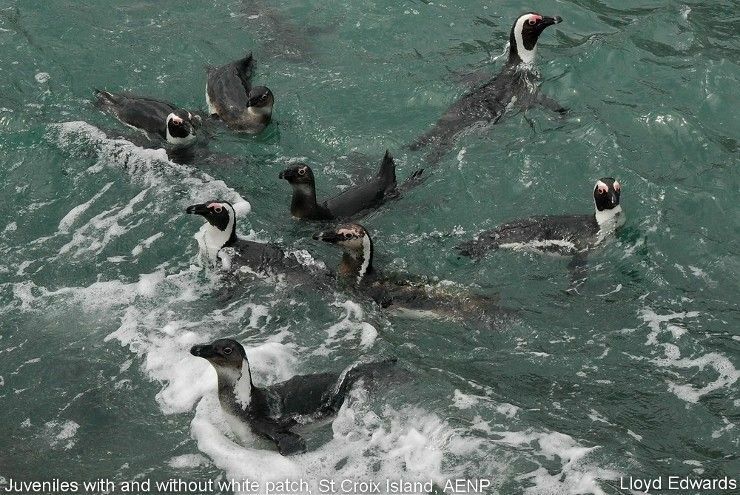 One individual ringed with a flipper band in Algoa Bay was recovered at Ichaboe Island in Namibia, a swim of 1300km! They keep their juvenile plumage for up to a year and a half, after which they need to return to land in order to moult. 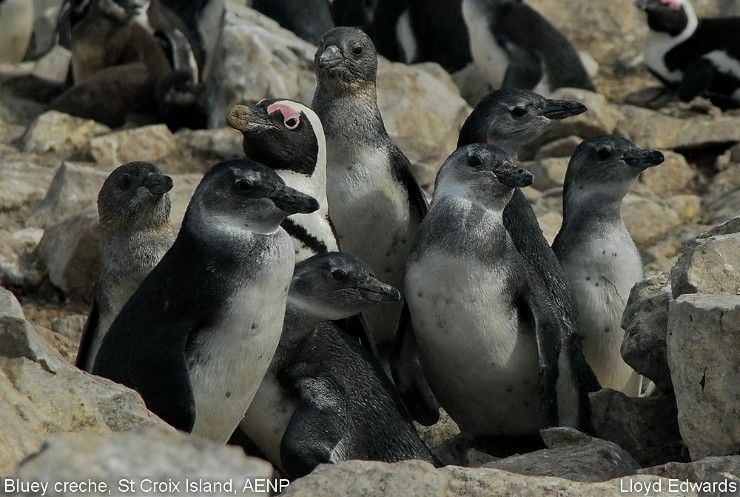 This moulting process takes three weeks and during this time they cannot feed until it is completed, as they would not be waterproof. They lose up to 40% of their body weight. They will look just like the adults once this process has taken place. Some start breeding at two years old, although most start when three or four, and some lazy or shy ones can only start after their fifth year. 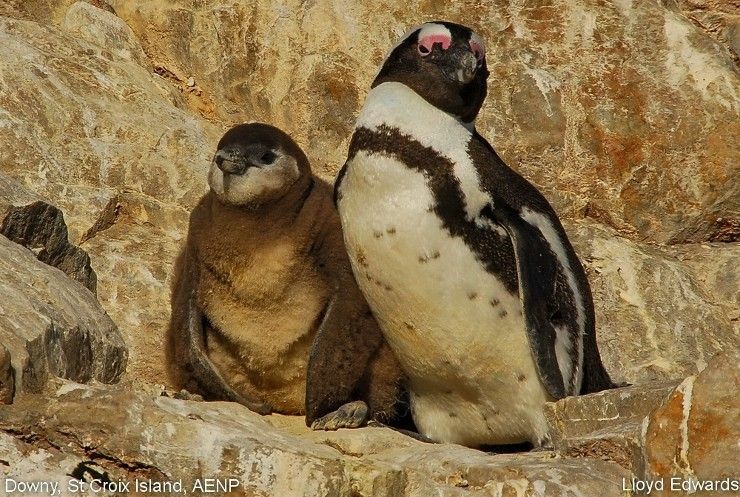 They normally return to their natal (where they were born) colonies in order to start the breeding process. Blues do not have the same colour pattern as the adults, nor do they target the same food source. They feed more exclusively on fish larvae which is slower moving than the bait fish and is found closer to the water’s surface. 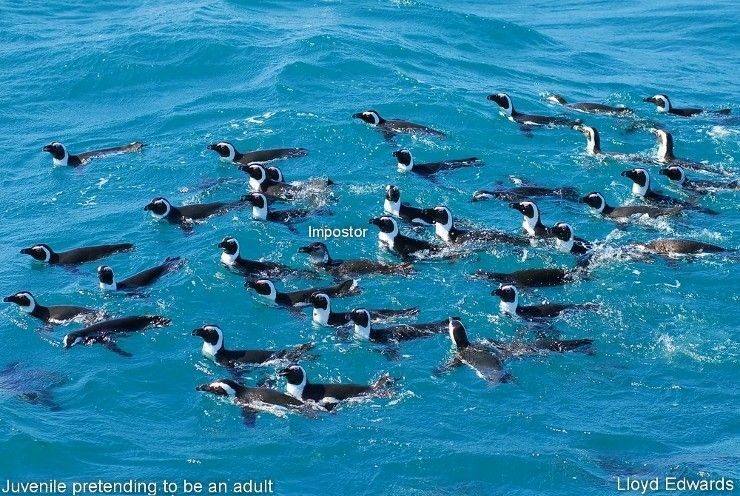 Their dull colouration may make it easier to creep up on their prey and also makes them less visible to predators like Orcas, sharks and seals.